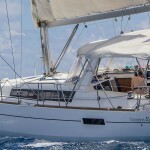 $2,950 per week Off Season: 10th July - 5th November. 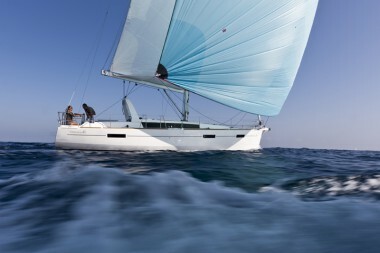 $3,300 per week Low Season: 1st May - 9th July and 6th Nov - 15th Dec.
$3,900 per week Mid Season: 2nd Jan - 31st Jan and 1st April - 30th April. 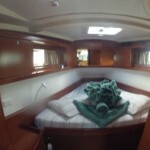 $4,300 per week High Season: 16th Dec - 1st Jan and 1st Feb - 31st March. 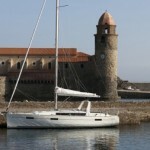 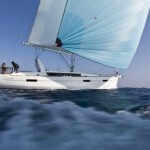 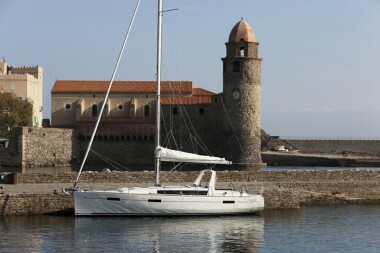 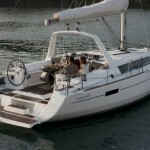 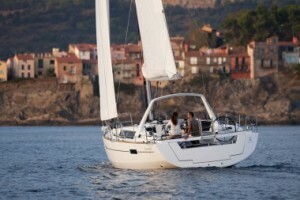 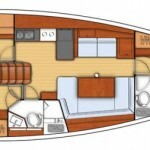 The Oceanis 41 is a modern yacht-innovative and stylish. 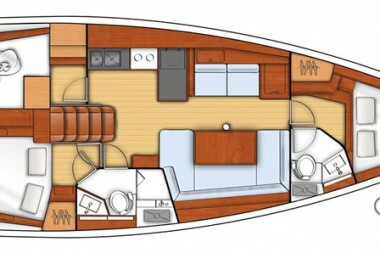 The new design of the hull promises comfortable and fast sailing. 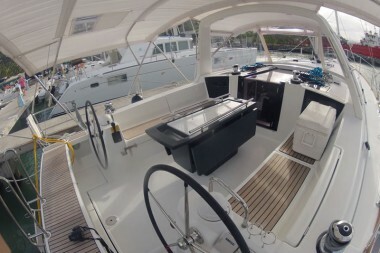 The stylish mainsail arch, above the companionway, anchors the mainsheet and provides more space in the cockpit. 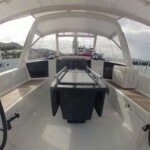 A rigid boom vang eliminates the need for a traveler. 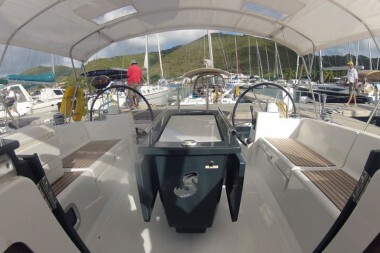 The expansive cockpit features twin steering wheels and a GPS/chartplotter located at the starboard helm. 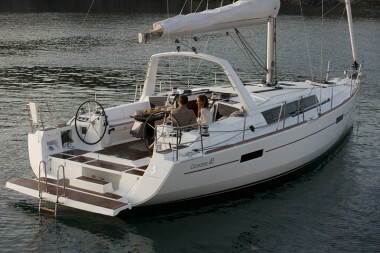 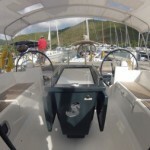 The convertible transom folds down to create a large swim platform with easy access to the sea. 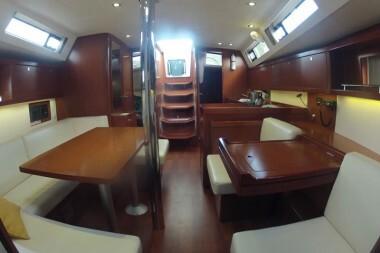 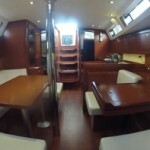 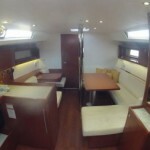 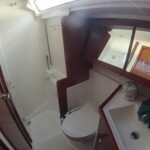 Below deck, the mahogany interior is bathed in natural light from the well placed ports. 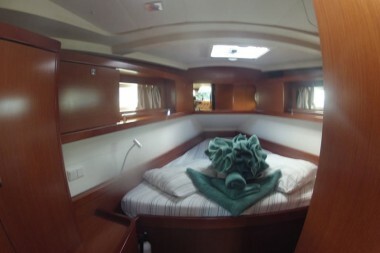 The L-shaped galley, located on the port side, is equipped with front opening refrigerator, top opening freezer, stove with oven & sufficient storage and counter space to make meal preparation easy. 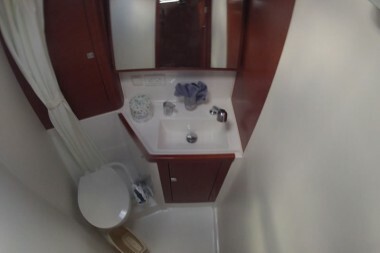 A storage area is accessed through the galley or port cockpit locker. 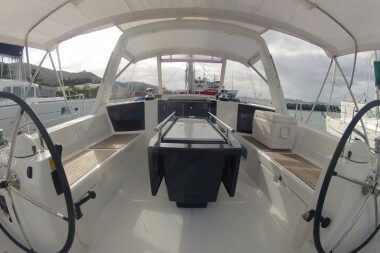 A unique innovation is the sliding navigation table which serves as a comfortable work station in the fore or aft position. 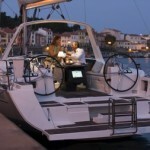 Centered, it functions as a small table with a seat either side-a perfect place for a cocktail or breakfast. 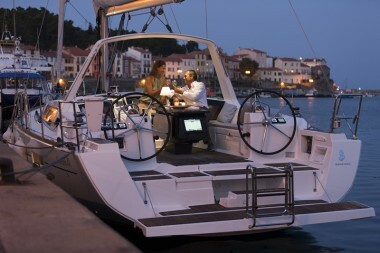 The salon table and U-shaped settee, located on the starboard side, are ideal for enjoying a meal with family and friends. 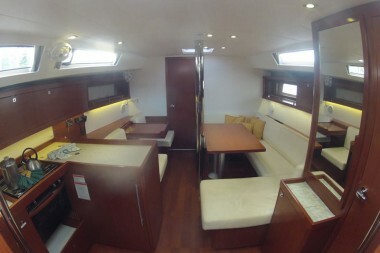 Light from two panoramic windows in the coachroof add to the ambiance. 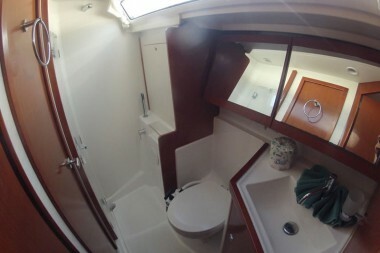 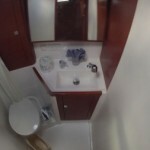 The forward cabin has a dressing table and an ensuite head with separate shower. 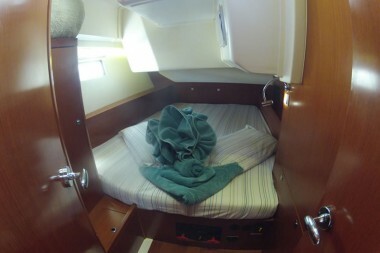 The aft cabin has as access door to the starboard aft head. 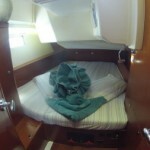 Both cabins have a queen size bed, reading light, fan, hanging locker & ample storage. 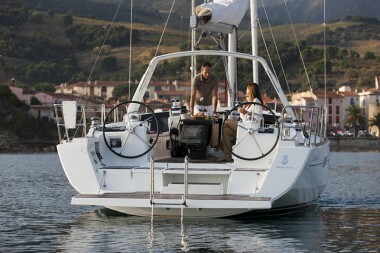 Tootsie is equipped with shoreside air-conditioning to keep you cool and comfortable when in a marina.